When you're caught up in a battle between head and heart it can be hard to know what to listen to. 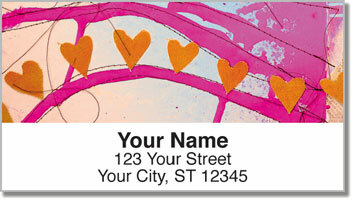 Hopefully that will soon become clearer with these heart address labels featuring art from Dina Wakley. 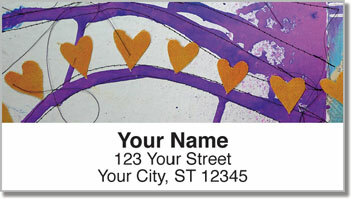 Using her mastery of mixed media and unusual color palette, these designs on our self-adhesive address labels are sure to make you want to fall fast and hard. 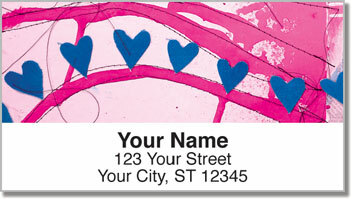 You can then spread this love to everyone around you by peeling and placing these labels on your mail and packages. 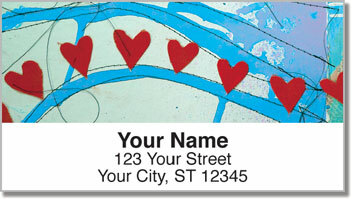 People are to enjoy the personal touch and fall in love with whatever you send them. If you're ready to fall in love, order today!